Recent review: Great music. Andrew ensured everything was perfect and was helpful with suggestions. Keyboard players are a perfect choice for events of all types from corporate and community events, to birthday parties and weddings. They can provide a variety of sounds and styles of music. Electronic keyboards can synthesize unique sounds and multiple instruments, making it a great substitute for a full sized band. Keyboard players can provide a similar service as a piano player, but offer the convenience of portability that you can't get with a baby grand or upright piano. 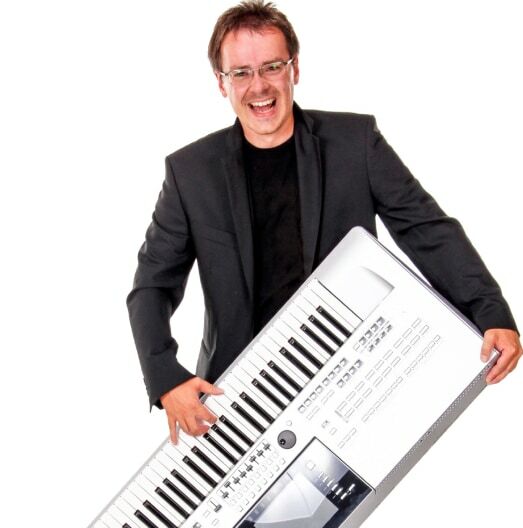 Search for Keyboard Players in Coventry, Rhode Island above. Please note that these Keyboard Players may also travel to Arctic, Fiskeville, Hope, West Greenwich, East Greenwich, Scituate, Clayville, Greene, Exeter, Foster, North Scituate, Slocum, Oneco, Greenville, Sterling, Riverside, West Kingston, Wyoming, Harmony, Richmond, Saunderstown, Prudence Island, Kingston, Hope Valley, Rockville, Rumford, East Killingly, Kenyon, Carolina, and Glocester.